The Elemental Championships offer more than glory. 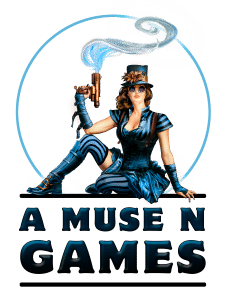 You will also find an array of riches—in the form of custom prizes—that you can win. 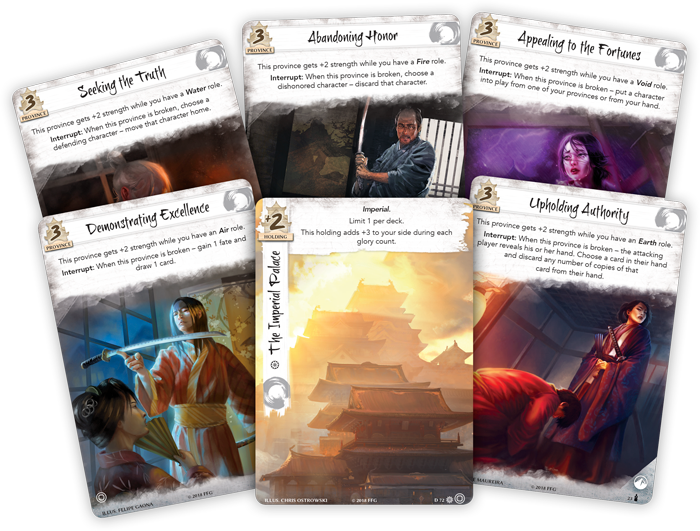 Each participant at an Elemental Championship claims a stunning, extended art version of The Imperial Palace, along with a set of five extended art provinces—Abandoning Honor, Upholding Authority, Appealing to the Fortunes, Seeking the Truth, and Demonstrating Excellence. 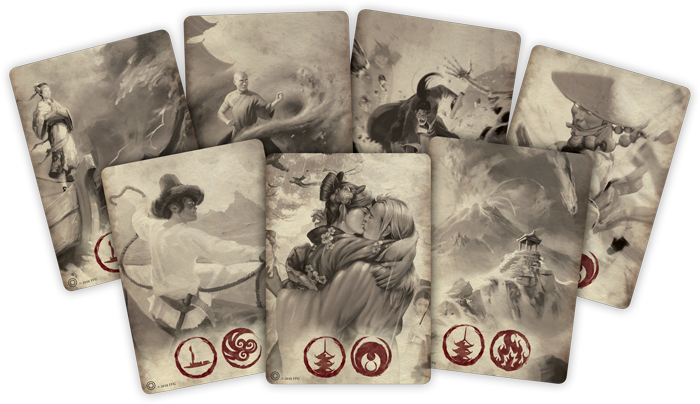 The Top 8 representatives of each element will claim a double-sided plastic elemental role card for that element, with one side featuring the keeper role and the other featuring the seeker role. 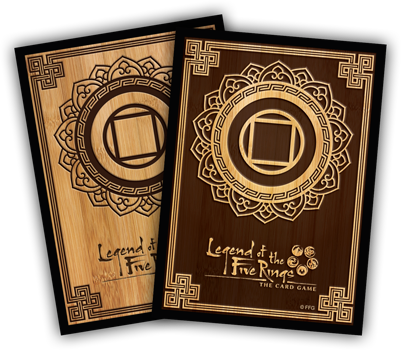 Reach the Top 16 and you will claim two packs of custom sleeves—one for your dynasty deck, and one for your conflict deck—for a total of 100 sleeves. 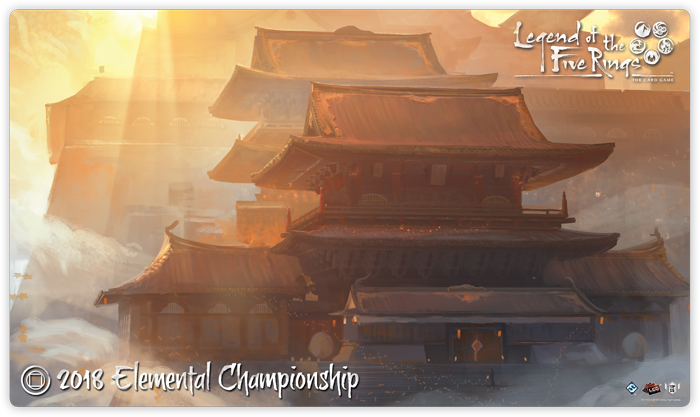 Elemental Championship playmat featuring the Imperial Palace washed in sunlight. 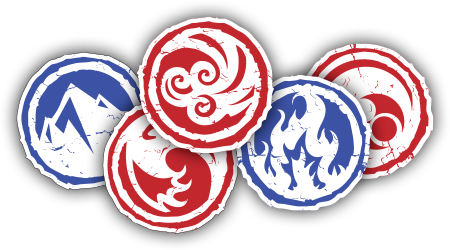 A complete set of ring tokens. Red on one side. Blue on the other. Printed on white acrylic. Elemental Championship honor dial. 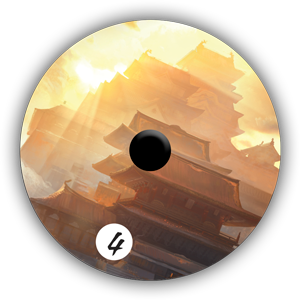 Featuring the Imperial Palace printed atop white acrylic, this honor dial serves as testament to your skill. 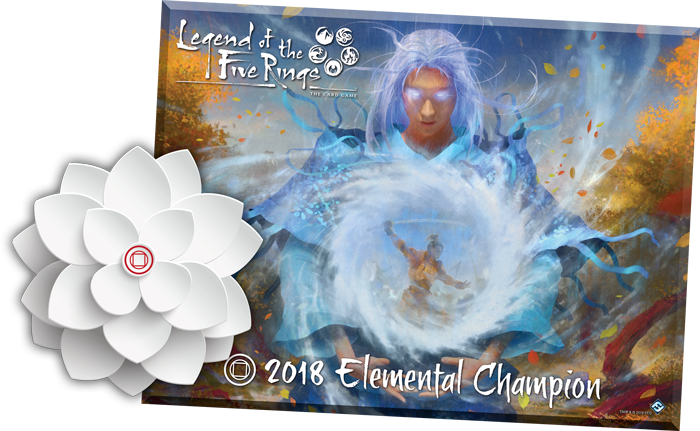 Win a 2019 Elemental Championship, and you’ll claim the title of Elemental Champion, along with the trophy and lotus flower invitation to the Winter Court World Championship that are your due.